Please Note – we must have this signed and retuned to our office before you can participate in an OregonWest Excursion. We require a signed copy for each trip you take. Signing up for a trip using a Check – We ask for a $100 deposit per person to secure a spot on our overnight trips and $25 deposit on our day trips. Once we have received your deposit, we will send you two (2) reservation forms, a self-addressed envelope, and an insurance flyer. We ask you to fill out or make changes on one reservation form and send it back with your final payment. Final payment dates and amounts will be listed on the reservation form. The second reservation form is yours to keep as a receipt. Signing up for a trip using a Credit Card – We accept all major credit cards. To sign up for a trip using a credit card, call your card number and expiration date in to our office. We will then send you your reservation forms, etc. – see above. We will charge your card a $100 deposit for longer trips or $25 for day trips. The balance will be charged automatically on the due date unless you make other arrangements with us. Final Payments – On the bottom of each flyer you will see “balance is due by – Month – Day”. This date is when our contracts, etc. are due and we need to have received final payments. We will call you if you have not made your final payment. The Fine Print – on the bottom of each flyer – Items of a personal nature, such as telephone calls, movie rentals, etc., are excluded. A 24 person minimum is required for a tour to operate. Tour deposits and payments are subject to penalties unless the minimum is not met and the tour is canceled. Cancellation insurance is available by calling Berkley Care. OregonWest Excursions is not liable for damage, delay, or inconvenience which may occur through acts or defaults of any other company or person engaged in providing services, provisions, accommodations, transportation or facilities in connection with a tour, nor are we liable for any acts of war, whether declared or not, damage, loss, or acts of God connected with any tour. If We Cancel a Tour due to Lack of Participation – Our tours require a 24 passenger minimum to operate. We will try to run all tours as long as we are not losing money; therefore, at our discretion, we may or may not go with less than 24 passengers. If we do have to cancel a tour due to lack of participation all of your payments will be refunded. Trip cancellation insurance will be refunded by Berkely Care. Insurance – Trip cancellation insurance is available and is highly recommended. An insurance flyer is sent with each reservation form. To take out trip cancellation insurance you can: 1) Call BerkelyCare directly – the 800 number is on the brochure; 2) Enroll online at https://nta.aontravelprotect.com. Basic & Enhanced Insurance – BerkelyCare offers 2 kinds of insurance – Basic and Enhanced. The difference between the two is that Enhanced insurance covers pre-existing conditions. If you have been to the doctor for a specific reason 90 days prior to signing up for a tour, you will need to sign up for the Enhanced insurance to cover that medical condition. You must take out the enhanced insurance within 14 days of your deposit. Ongoing medical problems such as diabetes or heart problems, etc –are not considered pre-existing conditions unless your doctor has changed your medications within the last 90 days. You can take the Basic insurance out up to the day we depart on the tour. Insurance Coverage – What does the insurance cover? BerkelyCare covers the cost of a trip if you need to cancel due to a medical problem or if an immediate family member has a medical emergency and you need to stay home. It also covers you while you are on the tour, if you get hurt or need to see a doctor; it will cover whatever your major medical does not cover. It will also cover your cost to get home if you have a medical problem, or if an immediate family member gets hurt or ill and you need to return home early. OregonWest Penalties – If you cancel a tour before the due date you will get a full refund minus a $10 handling fee. Once your final payments are made penalties will occur if you have to cancel your trip. We sign many different kinds of group contracts to hold space etc. We don’t usually get refunds from our venders once final payment is made. It is in your best interest to take out the trip cancellation insurance. We do accept substitutions. Please note most airlines have a name change fees if you find a substitute to take your place on a trip… you will be responsible for the change fee. Separate Airfare – we have been getting a lot of request to do separate or special airfare. This has started to take up a lot of our time doing research etc. We will be charging a $25 fee to do separate or special airfare. Day to Day Itineraries – We will send out a day to day itinerary and a roster of all the folks participating in the tour 3 weeks prior to the departure date. It provides ready information for each day’s activities and will be followed as closely as possible. However, any changes will be at the discretion of your Tour Director. Guest Pick Up & Drop Offs – We depart from the Salem Airport located at 2990 25th St SE, Salem OR 97302. Parking is available for $5 a day, payable by credit or debit card at kiosks located at the airport parking lot. Note – they still have the black drop box with envelopes inside of it outside the entrance if you wish to make your $5 per day payment by cash or check. We are not sure if they will keep the box there in the future as we have had conflicting statements about the box. We also have pick-up sites at the Woodburn Park and Ride and the Tualatin Fred Meyer’s. Coach Facilities – The coach is washroom equipped: however we encourage you to use it only when absolutely necessary by taking advantage of the facilities when we stop. Our rule of thumb is to try to get you off the coach every 2 hours for a rest room break and a leg stretch. Air Conditioning /Heating – Motor coach air conditioning/heating is good but not perfect. It is not possible to produce an even degree of cool or warm air at each seat. Your tour director and driver will do their best to keep the coach comfortable. On many of the longer motor coach tours we will have small blankets available for you to use… Remember not everyone is comfortable at the same temperatures. Seat Rotation – We ask that you move seats on a daily basis (3 seats forward or backward) this will allow you to get to know your fellow travelers. We guarantee that the sooner you know each other the more fun you will have! Try having lunch with different people each day and chat with all the people on board. There is only one exception: we would appreciate your attention when the tour director is describing something, or giving information about upcoming days and stops. Smoking – As is usual in most places these days, we have a policy of no smoking on the coach. Stops will be made at regular intervals to allow for smoking. If you require a smoking room please be sure to mark it on your reservation form. Many of the hotels are smoking free facilities… please note if you smoke in a non-smoking room you are responsible for any fines that may occur. Hotel Services/Incidental Charges – The charge for handling one bag per person is included with your tour, so there is no need for you to tip the bell person. Your suitcase will be carried to your room as soon as possible after being unloaded. It will also be picked up the morning of our departure. If you use the telephone, mini-bar, room service, movie rentals etc., or other things not covered by the tour, please take care of your bill the night before, or the morning of our departure. Gratuities – Our policy is to provide basic gratuities, however, if you feel like you have received exceptional service from anyone, please feel free to add on to any gratuity. This includes servers at restaurants, step on guides, etc. Gratuities to Guides & Drivers – We provide basic gratuities for guides and drivers. Recognized industry guidelines are $5.00 to $6.00 per day, per person for the tour director, and $4.00 to $5.00 per day, per person for the driver. If you wish to show your appreciation, the additional gratuity should be extended on an individual basis and not in the form of a group collection. We recommend that this be done at the conclusion of the tour and not on a daily basis. Release and Hold Harmless Agreement – As a participant in an OregonWest Excusion tour, I agree to hold OregonWest Excursion, its officers and personnel, harmless from any claims, demands, actions or suits (including attorney fees) for any illness or injury, including death, which might occur while I am on an OregonWest Excursions tour. Tour Pace and Walking Requirements – OregonWest Excursions encourages all to participate in exploring the world, and we design our tours for seniors. However, there is some amount of walking that we include in our tours. Consequently, our tours are recommended for reasonably fit persons who can comfortably walk three-quarters of a mile at a comfortable pace without shortness of breath or other physical discomfort. OregonWest Excursions is unable to shorten these walking requirements as it would fundamentally alter the nature of the tour service. What if I am unable to keep up during the Tour? – If you are unable to keep up with the group, you may be asked to refrain from group activities and it will be your responsibility to be at the designated meeting point at the stipulated time. If you have to purchase a refreshment in return for a place to sit or take a taxi to get to the meeting point this will be at your own expense. The Motor Coach is Not Accessible During Free Time or Sightseeing Stops – During free time and at sightseeing stops, all passengers must exit the motor coach. Staying on the parked motor coach is not an option. Physical Assistance – Due to the number of participants and pace of the tour, Tour managers, hotel staff, coach drivers will not be available to lift or physically assist you at any time. If you require any type of support, please plan to bring a capable travel companion who can comfortably help you keep up with the pace of the tour. With an average of 35 participants, it is not possible for the tour manager and/or the motor coach driver to provide repetitive special attention to any one tour member. If a passenger is unable to keep up with the pace of the tour to the extent that it impedes the safety or overall enjoyment of the other passengers, we may have to ask that passenger to leave the tour. If the passenger is asked to leave the tour this will be at their expense. Walkers or other Walking Devices – If you regularly use a cane or walker and feel confident that you will have no difficulty sturdily and comfortably walking three-quarters of a mile at an easy pace, including steps, there is no problem bringing it along on our tours. You must be able to manage the steps of the motor coach independently. Our motor coaches are not equipped with ramps or lifts. If you need assistance you are encouraged to bring a capable travel companion who can confidently help you keep up with the tour pace. No credits or refunds will apply for missed sights or tour features if you feel you can not keep up with the pace of the tour. Oxygen or other Medical Device – Medical devices must fit within the “baggage allowances” for the tour. The tour participants are responsible to contact the airlines to make sure they can take their devices on the plane with a doctor’s note. 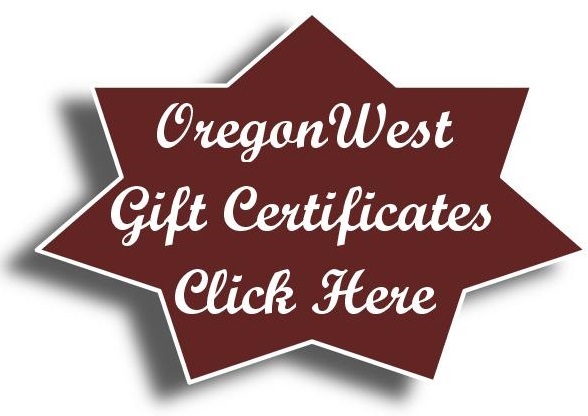 Under no circumstance does OregonWest Excursions, the airlines, the motor coach company, the tour manager, the hotels, or any other service provider accept responsibility or liability in connection with medical devices. Tour participants or their travel companion are responsible to lift medical devices on and off the coach. Geographical Elevations – If you are concerned about traveling into elevation you may want to talk to your doctor if you are fit to be traveling to higher elevations. As we are not medically qualified to give advice on healthcare. Other Reasonable Accommodations – If you suffer from a disability and require reasonable modifications under the ADA Title III, please call to discuss whether these are feasible and can be accommodated without fundamentally altering the nature of the service, cause OregonWest Excursions undue burden, or cause a direct threat to the safety of program participants.